Hi Desmond, I was wondering if you could share with me how much dayco charges for a movement service? Maybe a ballpark figure? 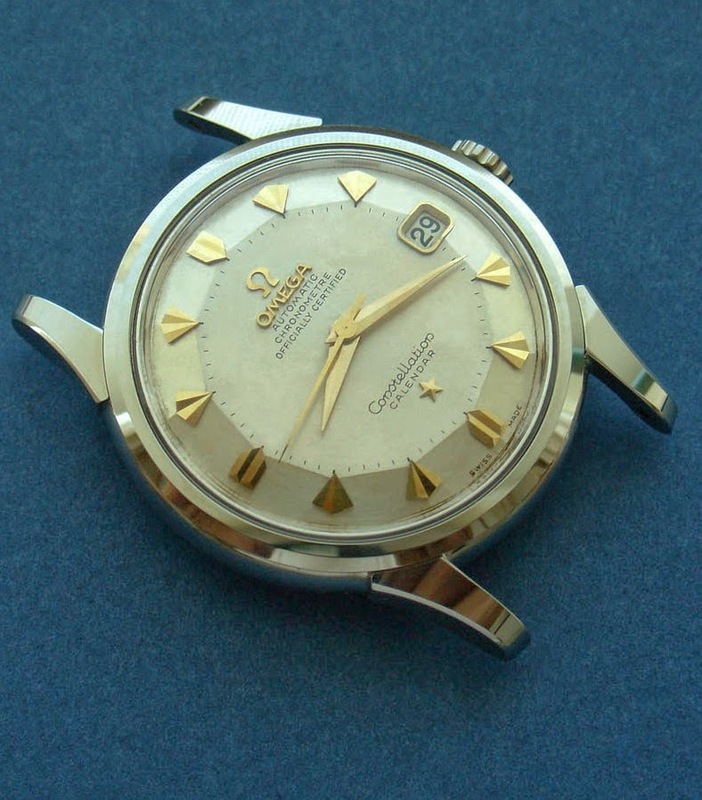 I want to get my new vintage seamaster serviced before I start wearing it. Hi, around the 250 - 300 dollars I believe, depending on whether any parts needs to be replaced. About Time is outrageous and charges around 600 dollars. BTW worth specifying that you just want to the movement dis-assembled and cleaned and oiled. Ask for the case to be left alone. Requests gasket if needed. Thanks Desmond for the information. May I ask for your opinion on this watch? I really like it, do you think it's all parts original and real? How much should I pay for it? I think i have one of this watches. Can you hrlp me to discover witch watch i have? Thanks for a great blog. I found it while trying to determine the model of my late stepfather's Constellation. I believe he bought it new in Singapore in the 60s, and used it as his daily watch, and it ended up sitting in his desk drawer the last few decades. 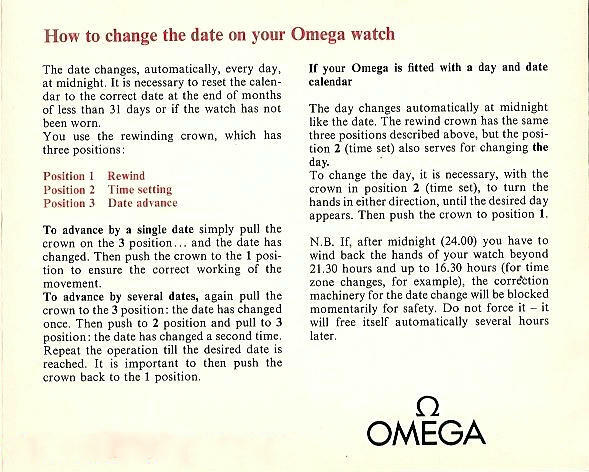 The watch is similar in appearance to the 3rd watch from the top, on the Omega Constellation 14747 page. Main difference is that mine appears to have the steel case topped with gold. Also, my watch is missing the 'Calendar' text. I wonder if you could point me to someone reputable who could restore it? I live in Chicago, Illinois, US. Also, what should I state to make it clear that as far as possible, the watch should be restored, and parts not simply replaced? I expect there is a significant amount of work to be done. For example, the crystal is cracked and pops off. The metal surfaces clearly need re-finishing. I have pictures if that helps. Much appreciation for the research you've put in your blog - it's been educational. Thanks for your post. I'll email you for pics. Hello, my father recently passed away and i remembered i had always admired his watch since i was a young boy. My mother gave it to me this last weekend and i noticed it was an Omega. So i was searching which led me here, but for the life of me can not figure out which style of watch my father had. I know he must of purchased in the early to mid 60's but could be completely wrong, may have been earlier. I have been all over the internet trying to match a picture to it but have had no luck. Here is what i do know. A picture is worth a thousand words, but i don't seea way to upload one on this site with my smart phone. it's silver or chrome . No date or day indicator. Diamond shapes on the hours. Face has on the top half, Omega symbol, then word Omega. Bottom half says Officially Certified. Chromometer (Spelling) then the name Constellation with a silver star below it. The face is somewhat off white to antiqued, but then I'm terrible with color. The back appears to be solid with no grove looking edges to imply it would unscrew. In the center is a gold or brass observatory with stars above it. any help on what model, type, etc would be helpful. Yes it looks okay, although pictures a little blurry. Price is way out of line. No, not unusual and simply a batch number related to case production. In terms of value, the best way is to do a completed listing search on eBay for the case 2853 (DeLuxe version) Maybe also do a search on the sales forum at OmegaForums for prices thathave been asked for your particularly model. Looks okay. Has be re-lumed at some stage. Also looks like the rotor bridge and rotor are replacements. Case is nice. Dial is genuine. 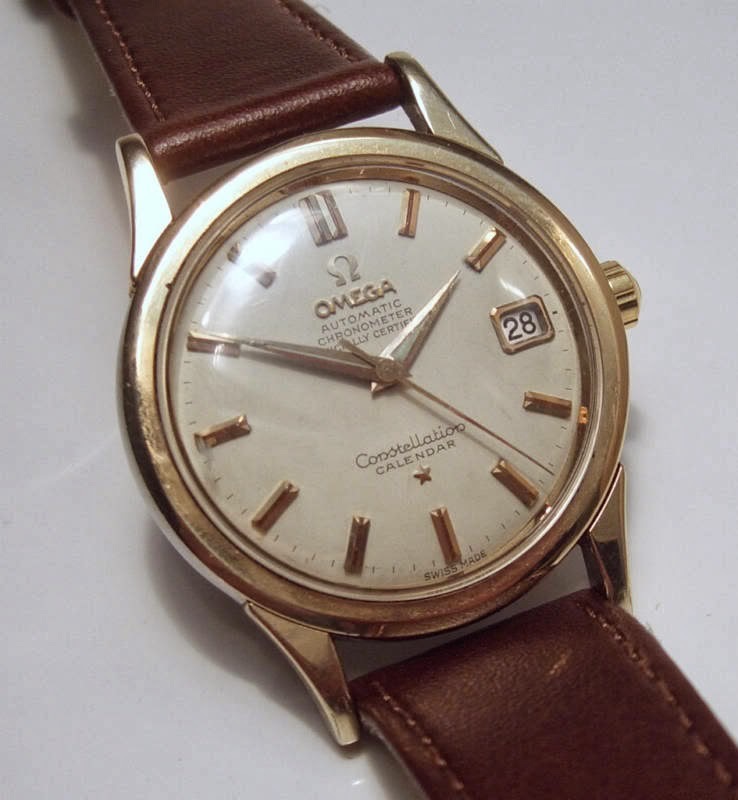 I recently came across to an Omega Constellation Chronometer caliber 561 Stainless Steel. 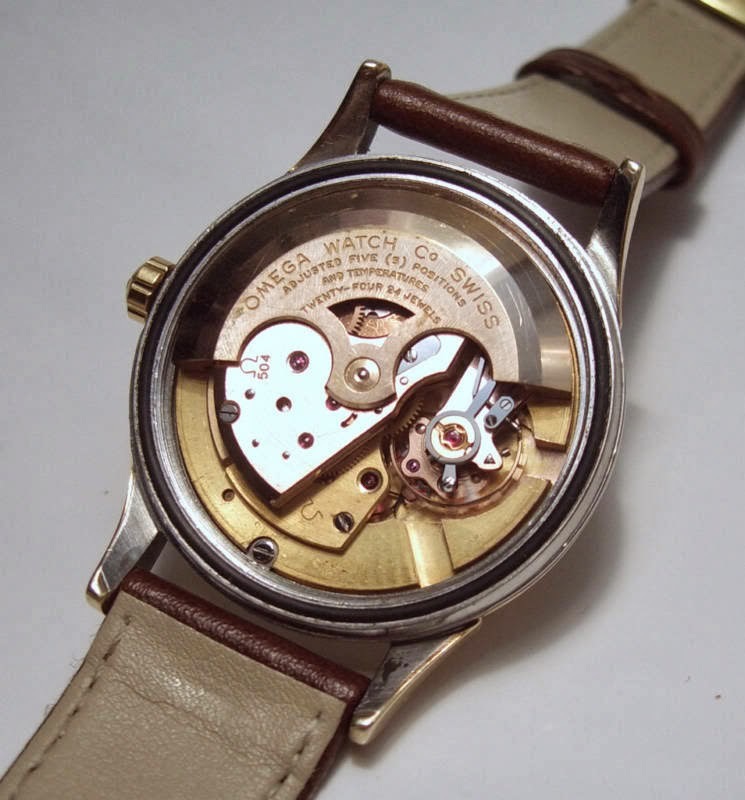 Case reference number is ST 168.004 and serial number on movement 2303....; perhaps year 1966. The case size is 36mm without the crown; I m wandering if this model will be considered as jumbo size? 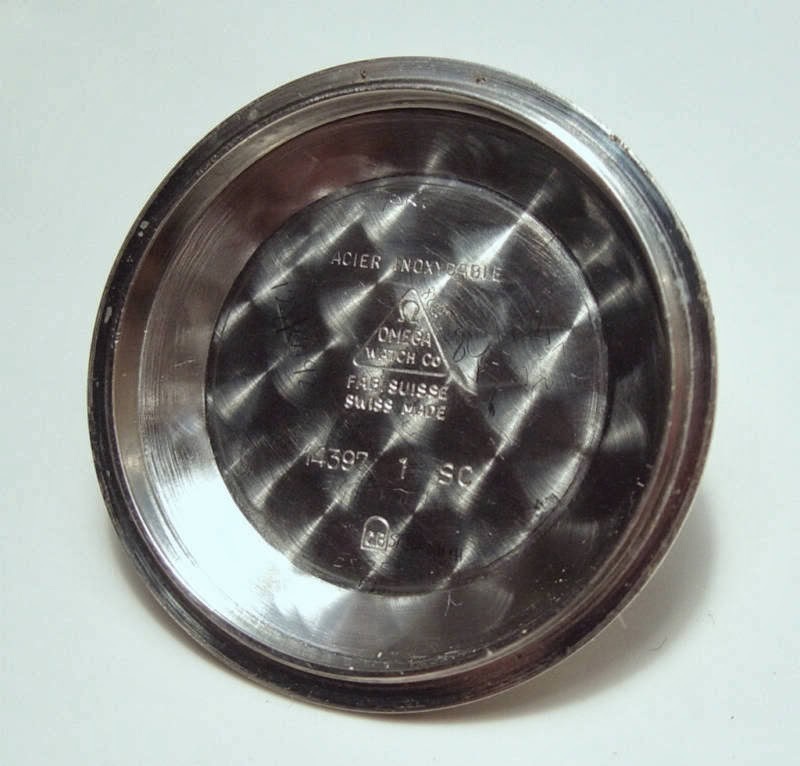 The crystal is with the Omega logo on it and the stainless steel bracelet seams to be original too. Dial seams to be in very good and original condition. The hands, not sure if this particular model hands are from this Constellation model or not? I’m wondering if this model is collectable or is a common Constellation? I’m trying to purchase one for my little collection and perhaps I would like to know if this will be a good start for me. I can definitely send images with the watch if you would like, perhaps that will be a good idea so everyone can see it. Any advice from everyone will be very appreciated. the 168.004 is indeed a collectible watch, particularly if it has a piepan or black dial. 168.004 had either Dauphine (earlier) or Baton (later) and it's likely the hands are original to the watch if it is as serviceable as you have described. The case size would not be considered Jumbo, but it is larger than its other Constellation contemporaries by about one millimetre. Many of these models were produced, however there is much interest in Mid-500 series calibres and with bracelet as described it would certainly be an attractive proposition. 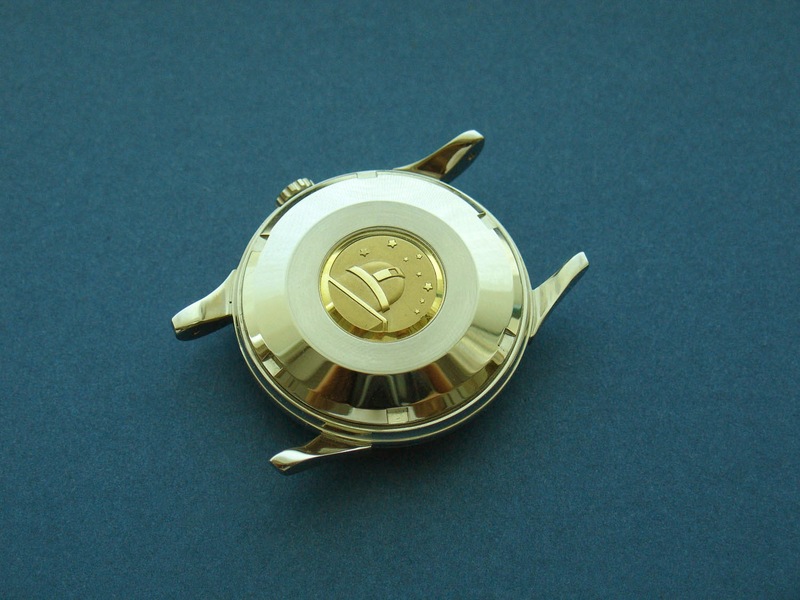 The hand are Dauphine and the crown is inserted inside the perfectly rounded case. Hands and the ornament lines that represent the hours in the dial are luminous in the dark; still lighting up nicely. The movement is keeping a very accurate time and is looking very clean; perhaps a cleaning/oiling service soon will be a good idea. I’m very impressed with the quality of the dial too; it is perfect with no spots or scratches. I will probably go ahead with this one; I strongly believe for the $500 it will be a good watch to buy. I believe the price is right too. I’ve seen this models selling for much more on eBay and having redials or the dials in poor condition. If the dial is original than 500.00 is a steal! Just do a dial check as per my essay on dials. Crowns sounds as though its original too - an added bonus. I’ve checked the dial very carefully and everything seems to be 100% original. The fonds and type are right too. The stainless Steel strap seams to be original from this model but I’m not totally sure about that. 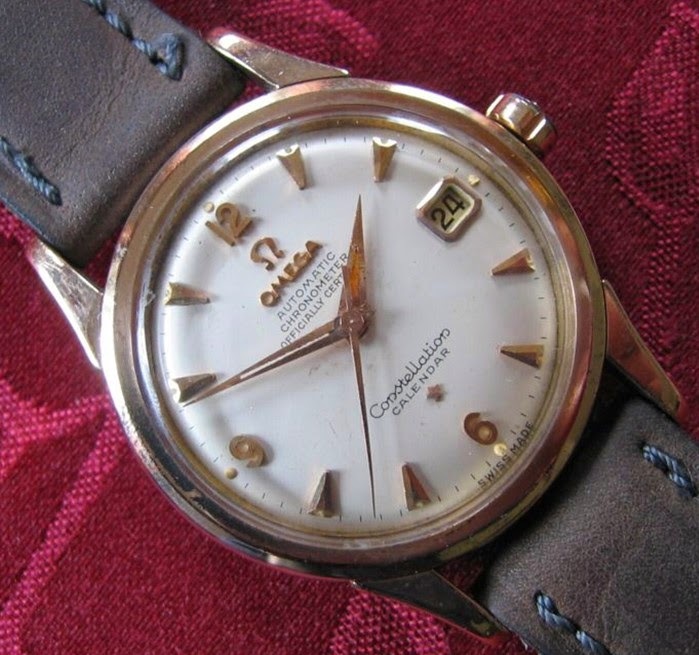 It has a 22 number in the logs area and a serial number on the clap buckle 1503 Nr 12 and of course with the Omega logo. I would like to know your opinion about the strap if possible? I actually purchase the watch last night since was a local purchase and not an online one. I’m very happy I did; I believe I made a very good purchase for my little Omega collection. Thank you again for everything you do on this blog.